Home nuffnang Reviews Christmas Shopping with Kwerkee! With the tagline “Daily Design Sauce”, Kwerkee promises to deliver out-of-this-world home and lifestyle products all year round for the design-conscious consumer. Design is a dish best served cool. Kwerkee presents interesting knick-knacks, hard-to-find design pieces and everything else Arty Farty. Picked out are The Queer, The Peculiar and The Bizarre for us, then featured at up to 70% off retail. 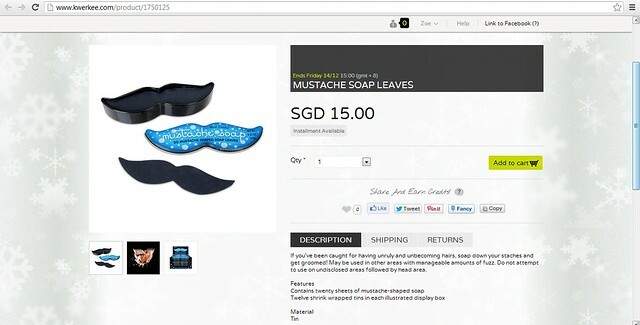 Kwerkee is the de-facto site for interesting and hard-to-find home and lifestyle design pieces. 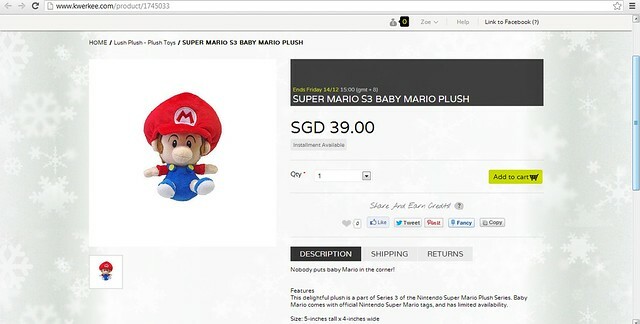 I just spent an hour browsing the website and I am not half way done. I have also bookmarked some of my favorites to share with you. From Too Many Cooks- Kitchenware. 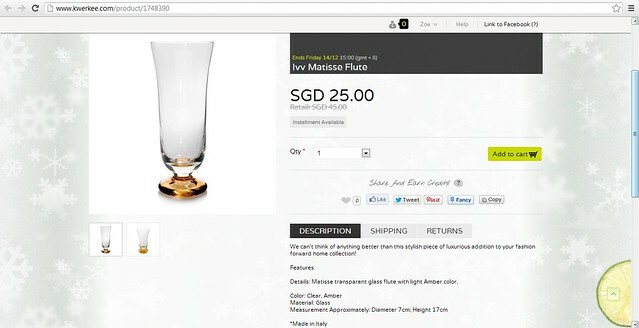 I like this classy flute that is made in Italy! This is going to make Champagne lovers this Christmas. The other one I like is this out-of-the-box frying fan in the prettiest color ever. 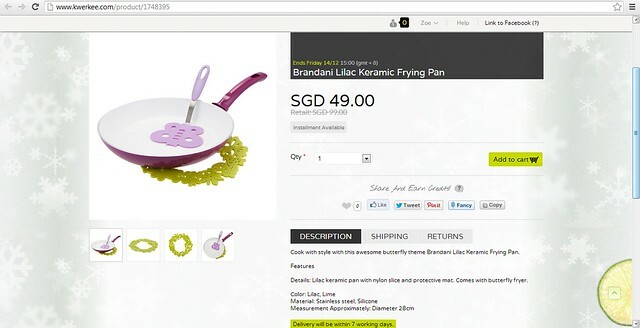 This frying pan set comes with a butterfly fryer and clashing colored protective mat. I will cook everyday if my kitchen wares are so cute! 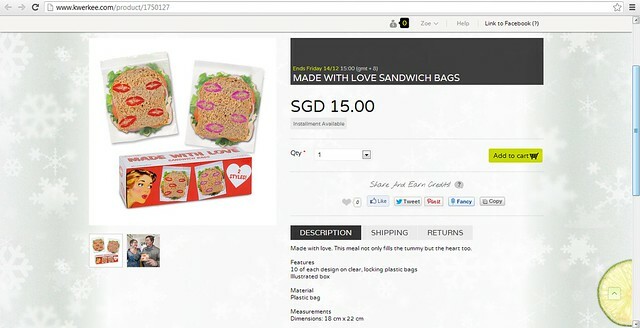 Also Made with Love Sandwich bags! Make cookies/ sandwiches for your family and loved one and pack them in plain ziplock bags- no more! Use these filled with love bags today! And my favorite category; Under $50 gifts! There are soooo many that I will be considering. 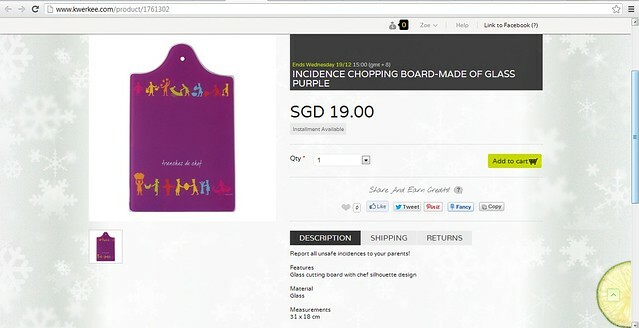 Another kitchen ware is this fashionista looking chopping board at just $19! Last but not least... 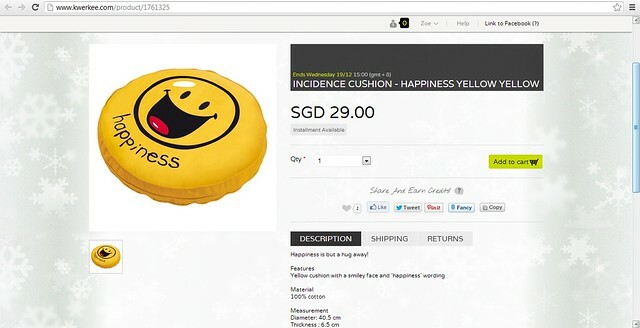 Happy looking and very practical items are these cushions! There are quite a few cushions in the website and i couldnt decide which to show you. I ended up with 2 favorite which is the Happiness and Love cushions! Save the hassle, get connected now! For a more quick, effective sign-up! Just log in with your Facebook and ta-dah! 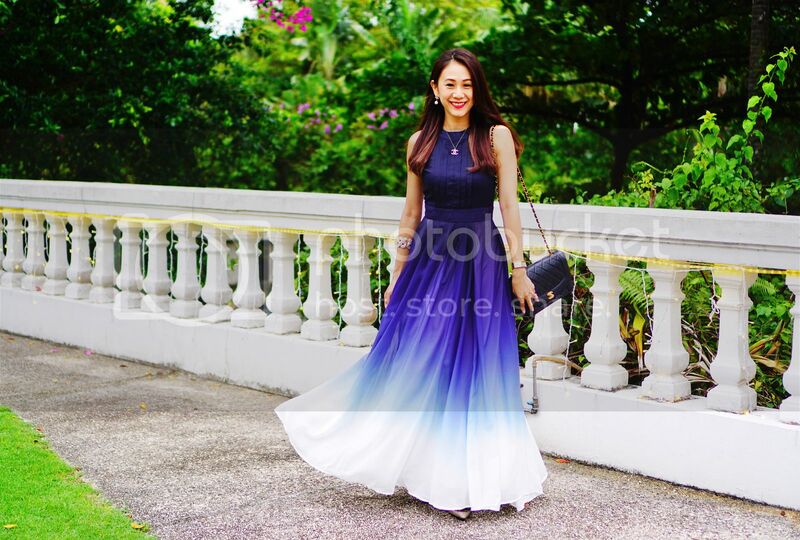 You can begin shopping on kwerkee.com! 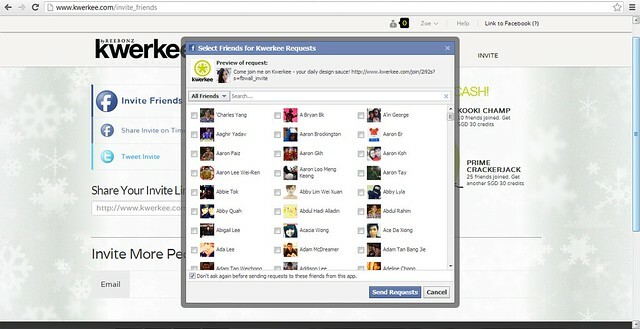 To ensure an interactive experience for the online consumer, kwerkee also has a feed tab where users can see in real time the most popular products on the site. 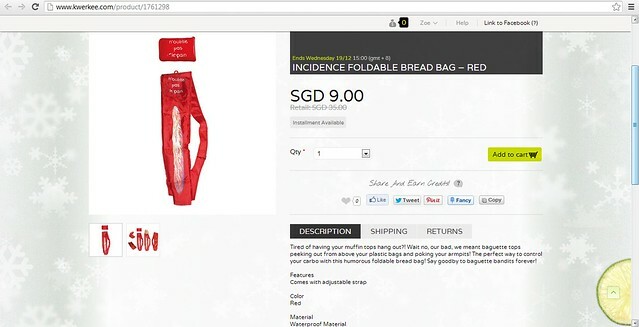 Users may also share their favorite items on Facebook to make the whole shopping experience more social! 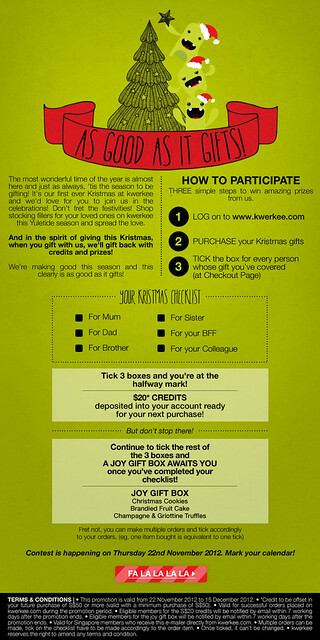 Before I sign off, got to share with you that Kwerkee is also holding their very own Instagram Christmas Giveaway!